Jeff Rosenblum and Marc Reisman were already well-respected in the Memphis, Tennessee legal community when they formed the Rosenblum & Reisman Law Firm in 1998. 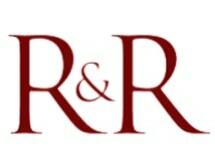 Since then, the Rosenblum & Reisman Law Firm has developed a reputation as a premier law firm based on their aggressive approach to handling cases. The Memphis, Tennessee based firm routinely works with complex and high profile cases. A measure of the firm's success is the high number of notable verdicts and settlements the firm has won. The legal team at Rosenblum & Reisman currently includes four lawyers and a number of excellent legal staff. The firm anticipates continued growth and is committed to hiring new lawyers to assist in handling these cases. The law firm focuses on catastrophic personal injury, civil rights, medical malpractice, criminal defense and suicide in confinement. The firm also handles sophisticated litigation and appeals.